The Stitely office went retro today while watching a 1967 black and white video of The Beach Boys singing, “Do You Wanna Dance?” This hit came off of their album Today and is considered a “Sound of the Summer.” Peaking at #12 on the Billboard Hot 100 list in the 60’s, it’s THE hit in the office today! Thanks Carly (The Event Planning Coordinator) for choosing this week’s Music Monday Official Opinion. It definitely sounds like summer! We are very proud to announce that Stitely Entertainment has been voted by our 2010 wedding clients to the The Knot’s Best of Weddings for another year! We’ve received this honor in both 2008 & 2009 as well. We are also the recipient of the WeddingWire Bride’s Choice Award for 2011. Both of these awards recognize top wedding professionals who demonstrate excellence in quality, service, responsiveness and professionalism, as voted by past clients. For this week’s Music Monday Eric chose “Streets in the Rain” by Sean Kelly. He is the lead singer for a band called The Samples, which was formed in Boulder, Colorado in 1987, and came from the members’ early sustenance of food samples from the local grocery store.The group’s music can be described as a mix between reggae and rock/pop. Enjoy! Stitely Soundboard: Stitely’s Valentine’s Dance- Oh What A Night! I don’t know that there are enough words to describe the scene at Stitely Entertainment‘s Fourth Annual Valentine’s Day Dance last Saturday night. The Mid-America Club was an phenomenal host, with great views both inside and out. The festively decorated interior was filled red and pink balloons, while guests marveled at the view of the city from the 80th floor. The evening began with a delicious dinner prepared by the Club’s gourmet chef. While the diners enjoyed their meal, a Stitely soloist serenaded the happy couples with romantic violin music. It was after dinner that the dance party really began. Another people-pleaser was the photo shoot area provided by Best Friend Photography and Design. In another area of the Club, Ingid set up a blank background and box full of fun props and let the guests’ goofy antics do the rest. 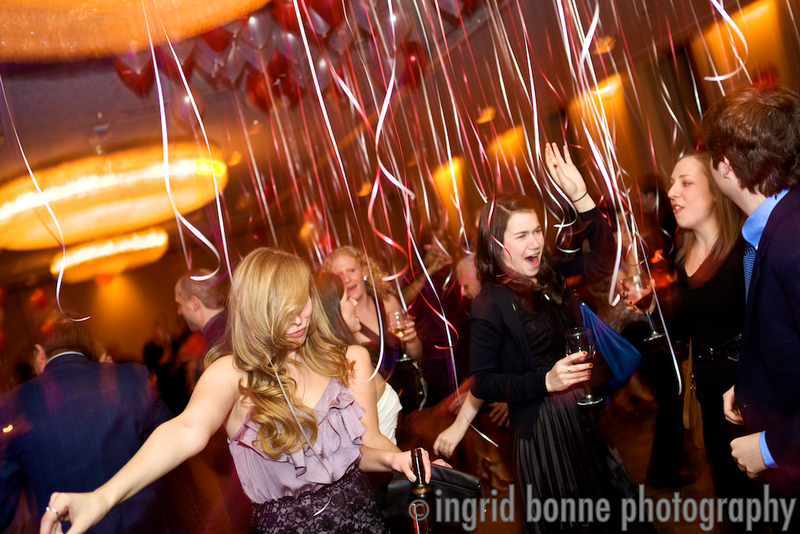 A huge shout-out to Ingrid and her crew for the fab photos she took of the evening too! Thank you to everyone who made this evening such a success! It was so great to see some of our past clients, interns and friends dance the night away. For those of you who couldn’t make it, including our very own Peggy Latko, we missed you and hope to see you next year. Hey all you single ladies (and gentlemen)! This Friday, February 11 from 8:30pm-11:30 pm, McCormick & Schmick’s Seafood Restaurant is having an awesome Valentine’s Day event, Cupid’s Revenge! If you’re looking to meet new people, hear live music (provided by Stitely Entertainment, of course) and enjoy drink specials, hors d’oeuvres and decadent desserts, head on down to the 41 East Chestnut Street location. Call (312) 397-9500 to reserve $15 tickets, or swing by on Friday for $20 tickets at the door. Hope to see you there! McCormick and Schmick’s is located on Chestnut and Rush Street in Chicago’s famous “Gold Coast.” They have an extensive lunch and dinner menu which is updated twice daily so that they are able to offer the best and freshest selections. These selections include more than 30 fish and seafood selections from U.S. and international waters as well as an assortment of beef, chicken and pasta entrees. And for all you soon-to-be brides out there who are no longer single, McCormick and Schmick’s accommodates both small and large wedding receptions , as well as bridal showers and rehearsal dinners. There are a number of properties that offer beautiful venues and ideal settings for these special events. Their staff is dedicated to providing assistance with the smallest details and offering a unique, stress free and enjoyable planning experience. For this music Monday I chose Marry Me by Train. The song is on their newest album “Save Me, San Francisco” which came out in 2009. It’s great for all you soon to be brides out there! It’s one of my favorites right now and seems to always put me in a good mood. The music video is also so so cute so you should check it out! For those of you who have never been to a bridal show, they can be overwhelming. Tons of vendors, lots of noise and so much to see that you don’t even know where to begin. But this weekend a couple of us Stitely gals went to Indie Wed to check out the scene, and what we found was a lot fun! Indie Wed is not your average bridal show. It caters to couples who are taking “a more modern, edgy, or eco-friendly approach to their special day,” as well as more traditional couples who are looking for unique or hand-made special touches such as custom stationery on recycled paper or crocheted ring pillows. It was hosted on three separate floors at the Ravenswood Event Center, which is a totally cool space, btw. 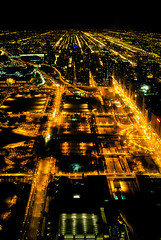 If you have never been there, you should definitely check it out! A converted factory, the space is big with high ceilings and the Showroom has antique cars and old neon signs lining the walls. It definitely fit the independent, funky, crafty, boutique-like vibe of the show. They had a ton of different types of wedding vendors ranging from photographers, bakeries and caterers, to fashion, stationery and floral designers. As the resident bride-to-be, I found a lot of inspiration for my wedding! 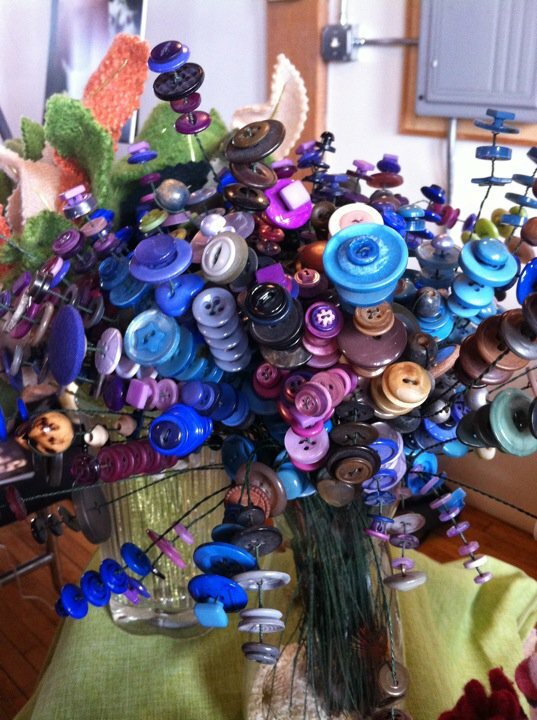 These are a few of my favorite things from Indie Wed (insert Sound of Music Reference here): I think the item(s) that I enjoyed the most, the one I will probably incorporate into my wedding, are these incredible button bouquets. I just love how quirky and interesting these are, and since you can get them by the wire I’m thinking about adding them to my flower bouquets. At least they’ll last longer than the real flowers. I also really liked these beaded flowers by Ododo Originals. Hmmm, these would look great on my bridesmaids… And this peony pendant by Moira K. Lime would look pretty good with my dress. In fact, it was difficult for me to keep from buying everything in the place! 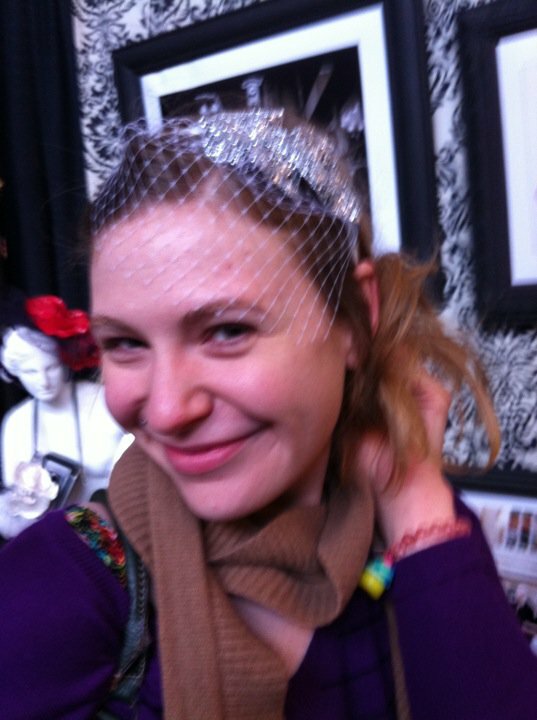 Carly liked the sassy hair pieces from Lulu Mae and the Bario-Neal rough cut diamond engagement rings. And the amazing dishes offered by Fig Catering, like the succulent braised pork. A combined favorite was Vavoom Pinups, a vintage style photography studio that specializes in dolling girls up in sweet 50’s vixen outfits with glamorous hair and makeup. This looks like so much fun, I can’t even stand it! Even though by this point next year my wedding will have passed, you will still find me at Indie Wed. Not just for the delicious food and incredibly artistic products, but for the awesome ambiance as well. Check it out.